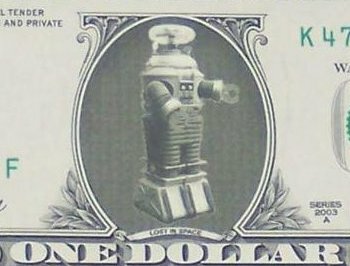 This novelty note is a REAL US mint Dollar Bill which has a Black & White picture of the Lost in Space Robot affixed where George Washington's face would be. Lost in Space is also written on the name plate underneath the picture. This note comes in a clear plastic currency holder.